Even Alex Abrines was impressed as the corners of his mouth quirked up when he heard Josh Huestis called out “B-15” in Spanish. 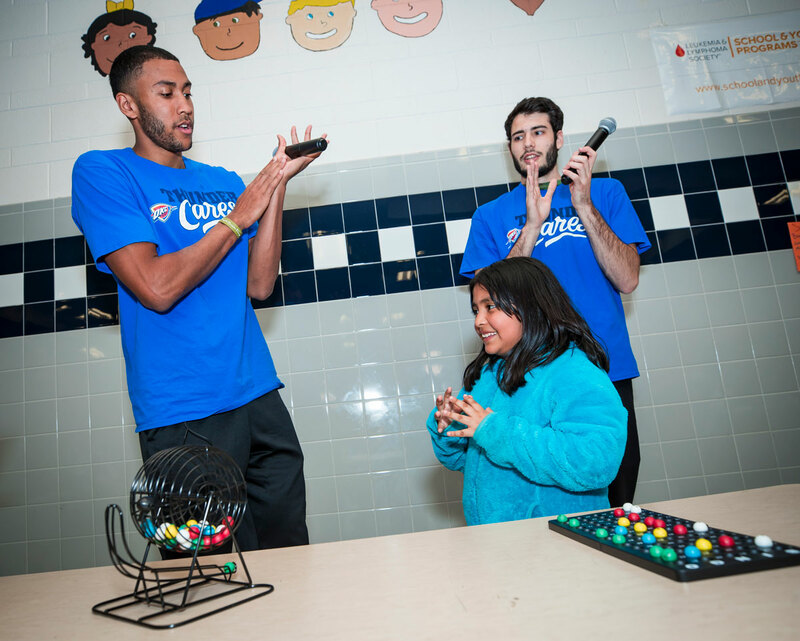 The Thunder teammates shared a laugh as a crowd of almost 1,600 roared in delight during a bingo game inside the school gym. 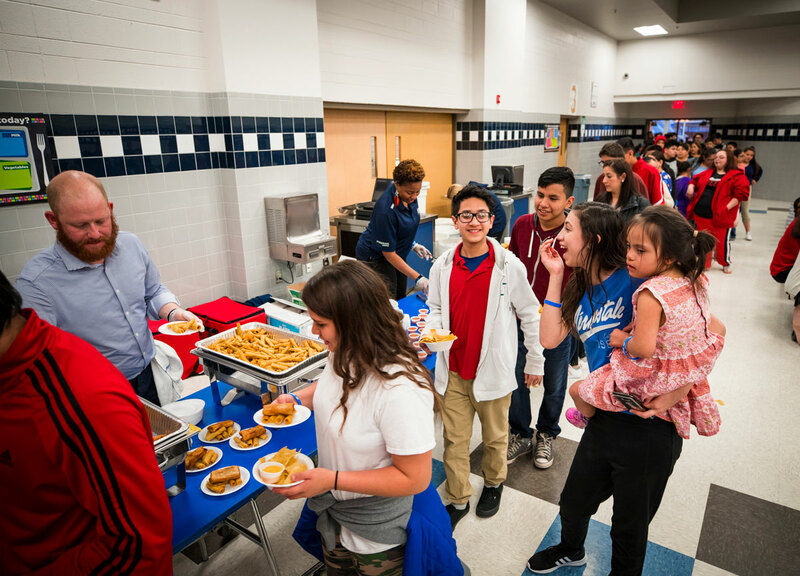 On Monday, Abrines and Huestis hosted a Family Fun Night at Jefferson Middle School for students and their family for an action-packed evening of Hispanic cuisine, carnival games and a spelling bee competition. Nearly 80 percent of the students at the school have Spanish as their native tongue. 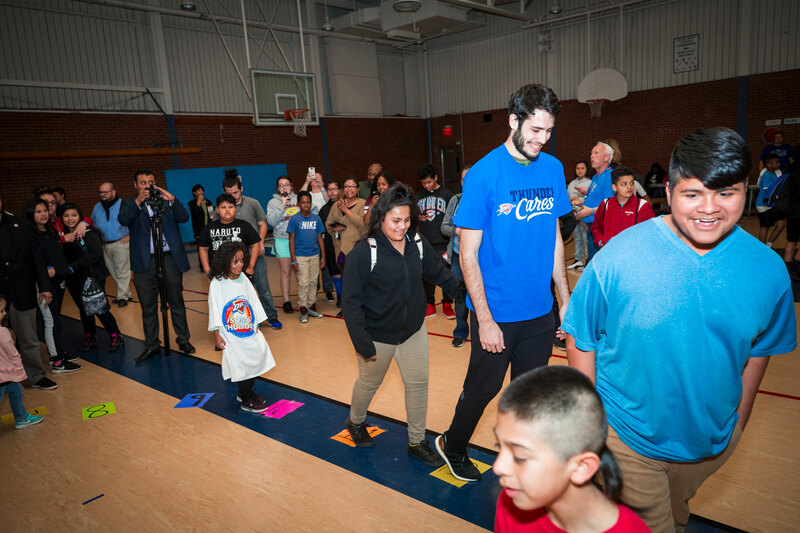 For the Spaniard sharpshooter Abrines, spending time with the families on hand gave the chance to find commonalities with the Hispanic community. In crowd-pleasing fashion, Thunder Girls and Storm Chasers went around the room to dole out high-fives, selfies and Thunder prizes including special edition Hispanic Thunder tees replicating the excitement of game night. The fun-filled festivities concluded with students vying for the spelling bee crown of the night in front of peers, teachers and families. 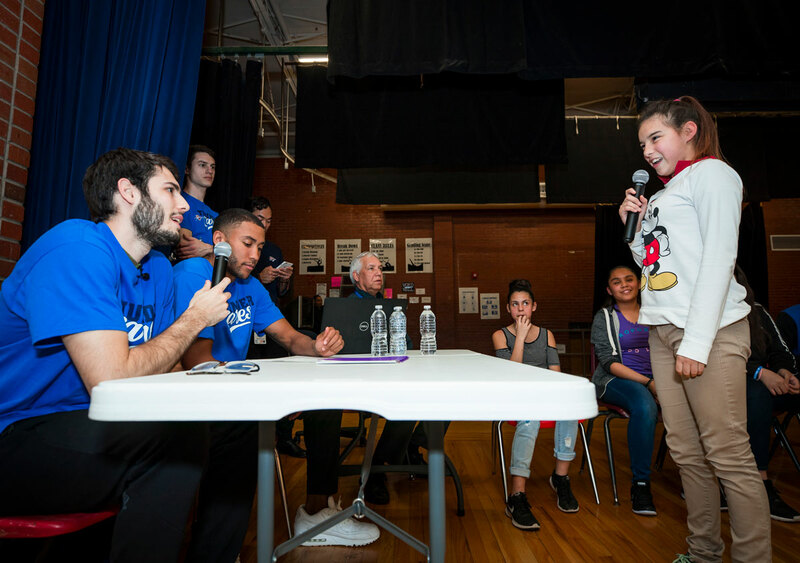 Taking turns with the mic, Abrines and Huestis served as moderators reeling off words from a list for the young challengers. Hopeful contestants were siphoned off with every advancing round. From his judge’s seat, Huestis sympathized with the number of students twisting mid-pause on stage as the words became more difficult. The word “yachtsmen” derailed a 14-year-old Huestis. He misheard the moderator and spelled the singular form instead. Still aggrieved to this day, the Stanford alum claimed he would have been the eighth-grade spelling bee champion if it wasn’t for the phonetic misfortune. Nevertheless, eighth-grader Maria Tamayo emerged victorious as the spelling bee champion by the end of the night. As she basked in the afterglow on stage scanning the cheering crowd of friends and family before her, Tamayo reflected on the purpose of the evening. To celebrate Hispanic heritage on this night was just another way for the Thunder to find the ties that bind.